Hello Loves! It's that time of year again that I'm planning out my show attendance schedule. I'm going to a couple of shows this summer, but only one Nails Only Trade Show as of right now. 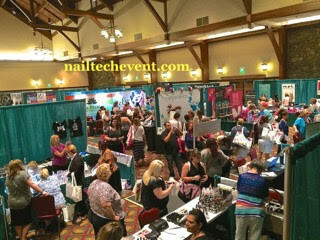 Yep, I'll be at the Nail Tech Event of the Smokies again this year! :) I truly enjoyed this show last year and am really looking forward to it again this summer. If you're a Beauty Professional who focuses on nails in the South East, this is THE show to attend! Heck, if you're willing to travel, this is still the show to attend. So what exactly is the Nail Tech Event of the Smokies? 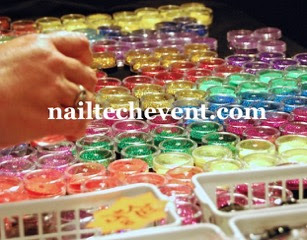 This is a Nails Only trade show with the Nail Tech in mind. No loud music. No hair supplies. No flea market junk. Just nail related items and services for professionals! 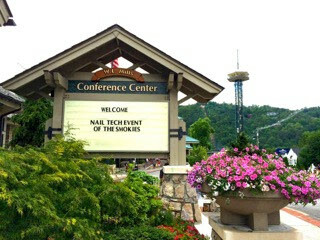 The show will be in Gatlinburg, TN at the Gatlinburg Convention Center again this year from July 9-11. The actual one day show is Sunday, July 10th and features 45 of our favorite brands. I'll share the current vendor list below. Attendees can browse the floor, see demos, and learn about current and new products. There are even complimentary classes you can attend during the show! But there's more! Saturday and Monday are Workshop days where beauty professionals can brush up their skills or learn some new ones from some of the industry's top educators. Workshop topics range from basic product courses to advanced techniques to business strategies. There is truly something for everyone - seasoned nail techs, new techs, students and salon owners! Visit the workshop pages for a complete list of available classes on Saturday here and on Monday here. These classes fill up quick, so be sure to register in advance! 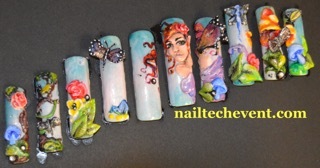 Fancy a fun nail competition or two? Amy Becker is hosting two competitions during the show, including one turn-in competition! 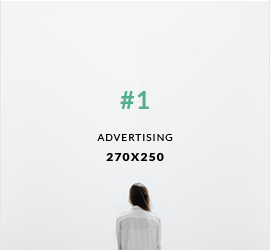 Learn more about those here. There will also be an Event Gala and Meet and Greet featuring the "City of Lights Reception" sponsored by Light Elegance on Saturday July 9th from 7:00-10:00 pm. You can learn more about the Event Gala, check out the menu and purchase tickets here. Advanced Show Tickets are on sale now! But if you forget to pick up your tickets in advance, don't worry! You can also purchase tickets at the door on the day of the show. * This post was sponsored by the Nail Tech Event of the Smokies. Statements within this post may not reflect the opinion of ManicTalons.com.